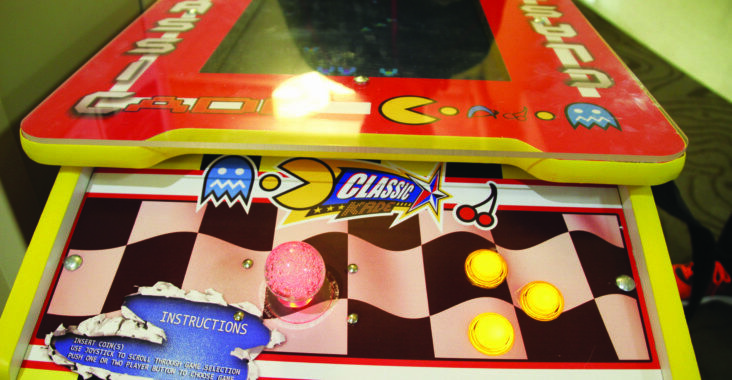 There’s a new arcade cabinet in University of Wisconsin–Stout’s Memorial Student Center (MSC) with sixty completely free-to-play classic arcade games. Proposed by MSC Associate Director Jennifer Lee after she saw one in the University of Wisconsin–Lacrosse Student Center, the cabinet is likely the first of many. According to Lee, the original plan was to get two machines, but the MSC decided to test the appeal with one cabinet. “This is the first in a series,” said Lee. One of the proposed systems is a four-player table. The sixty-game library may be reduced in the coming months and set to a rotation to keep the games fresh. Students can vote for their favorite games soon on campus social media.